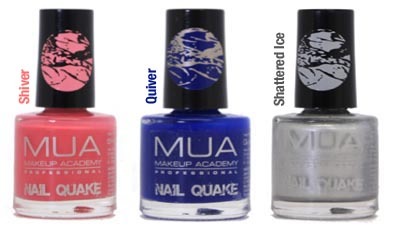 The MUA Nail Quakes were sent to me for review purposes. It seems like every nail varnish company is jumping onto the crackle nail varnish bandwagon so it was only a matter of time till MUA decided to join in on the fun. 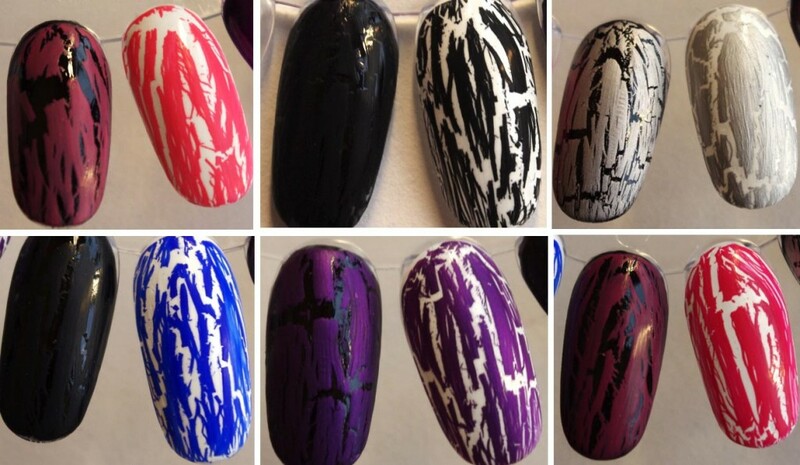 So far they have six shades; Broken Arrow, Jailbreak, Shockwave, Shiver, Quiver and Shattered Ice. My first impression was that the name choices were slightly odd, as neither of them made me think of the colour they represented. They go on very easily, the packaging is simple and sturdy. I like that they dry quite quickly and don’t crack into lumpy bumps. 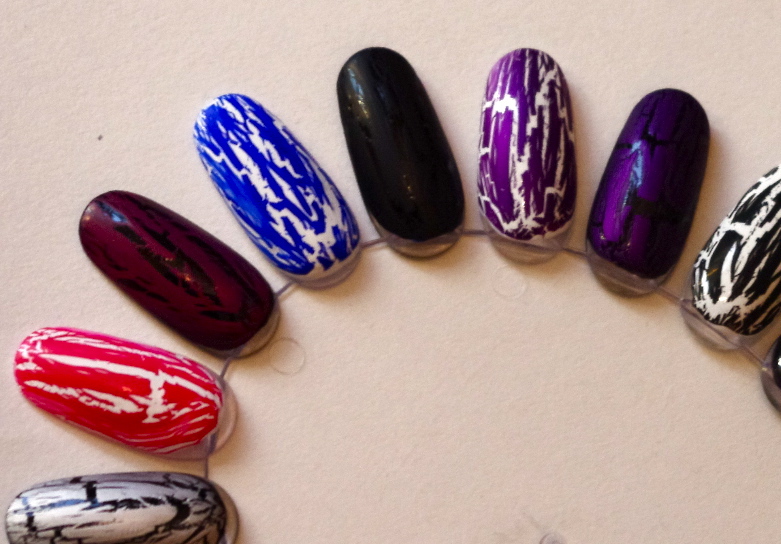 One thing to note with all crackle nail varnishes is that you need to be generous and quick with your application. Don’t try and slowly drag it over your nails, load the brush with a good amount of product and quickly apply it with two quick strokes. A good crackle nail varnish. Personally I prefer it to the Barry M version as it tends to really gloopy and dries out very fast, not to mention it’s almost double the price so a winning product for MUA! A Peel Off Face Mask For Your Lips?